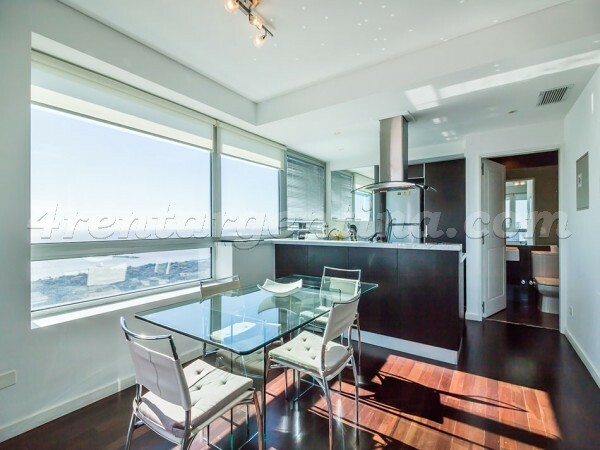 Modern furnished apartment for temporary rent in Buenos Aires, located in the prestigious Puerto Madero neighborhood, in an area surrounded by luxurious restaurants and bars. 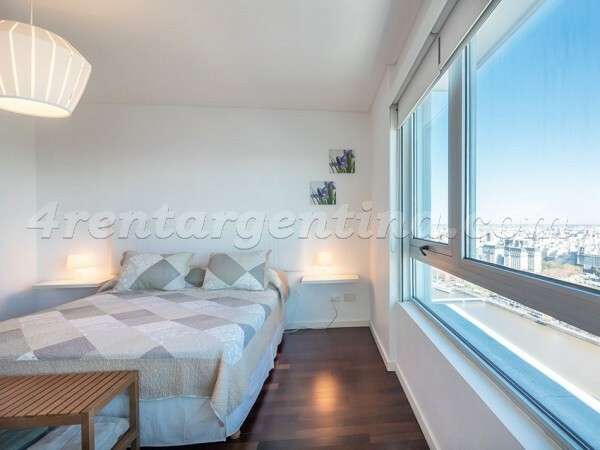 This luminous flat is ideal for two people, is beautifully decorated and has everything you may need for an excellent stay in Buenos Aires: a bedroom with a queen-size bed and an ensuite full bathroom with hydromassage tub, a spacious living-dining room with sofas, a fully-equipped kitchen, a toilet and a nice balcony with a river view. 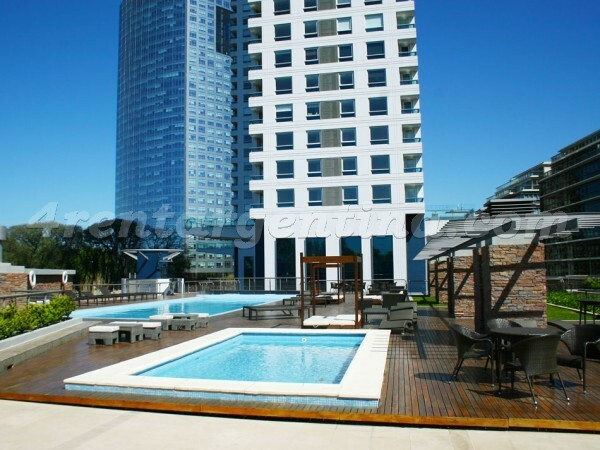 Besides, the building has a lobby, a swimming-pool, a solarium, a gym and a laundry. 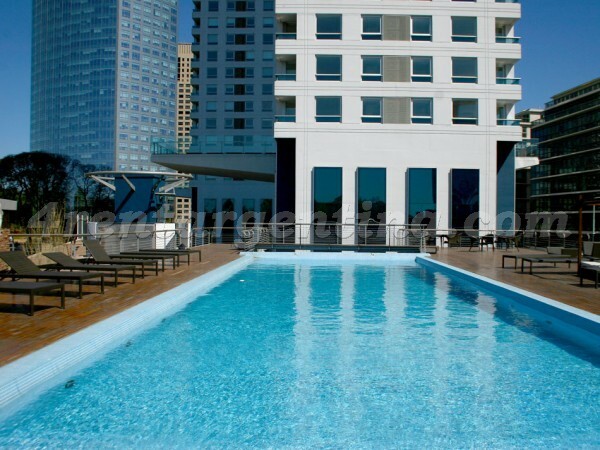 Biweekly maid service and 24-hour security service included.